The mistletoe is cut Miraculix has broken the crescent. But without a golden sickle the magic potion is not effective! Asterix and Obelix have to walk the dangerous path to Lutetia, and rob the Romans. Jump into the role of the Gauls and help them to acomplish the task at hand. Help Obelix to pick up all the coins in Galia and avoid the wild boar and the roman soldiers. Collect the coins and dodge the other characters in this platform game. If you want to play Asterix And Obelix And The Golden Sachel games online you have come to the right place! 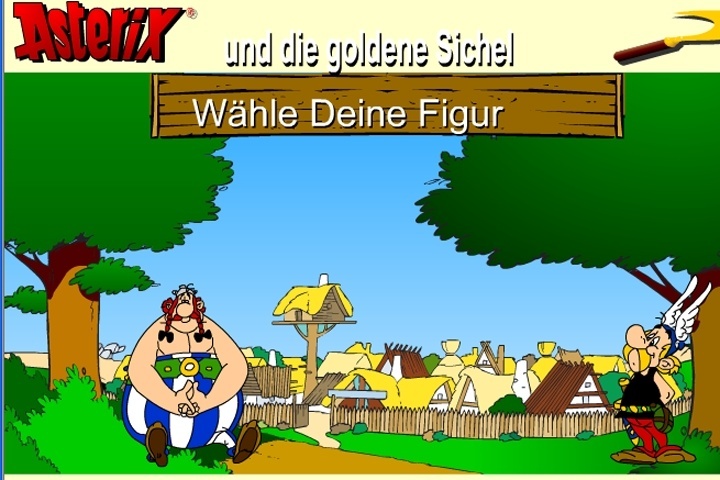 GamesLoon adds new Asterix And Obelix And The Golden Sachel games every week. This is your game portal where you can find the biggest collection of free Asterix And Obelix And The Golden Sachel games online. Do not forget to rate our Asterix And Obelix And The Golden Sachel free online games while playing!